For Summit of Everest Group, the inspiration from Margaret Mead are words to live by. We are very intentionally involved in our communities and respective spheres of influence. A sampling of our current projects is included below. Since 2002, over 50,000 US soldiers have returned home from Iraq and Afghanistan with their lives radically altered by injuries received during deployment. The challenges they face in returning to “normalcy” affect every aspect of society, from families and communities to our national character and legacy as a people. 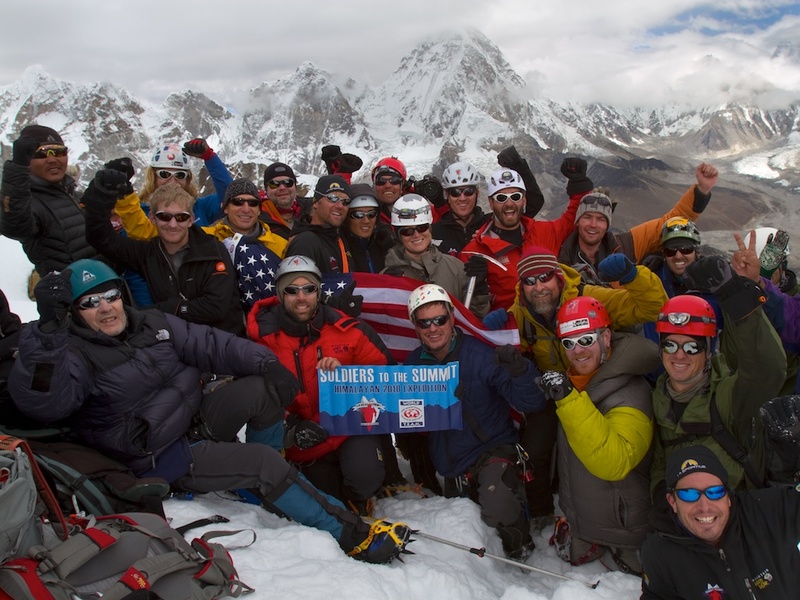 “Solders To Summits” was a showcase expedition bringing together disabled war veterans with world recognized mountain climbers to demonstrate what could be achieved by climbing a Himalayan giant. A key outcome of the expedition is a documentary film produced by Emmy award winning filmmaker Michael Brown and Boulder Colorado based Serac Adventure Films. 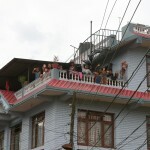 The film, which will be released to a national audience in Winter 2012 tells the stories of these heroes and spreads an inspirational and healing message to the entire country. 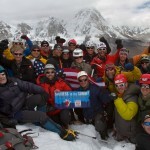 Summit of Everest Group founders met the expedition in Nepal and the experience was the highlight of their journey. David Fedler has joined the Advisory Team and is currently actively planning the next expedition to Cotopaxi in Ecuador, scheduled for December, 2012. 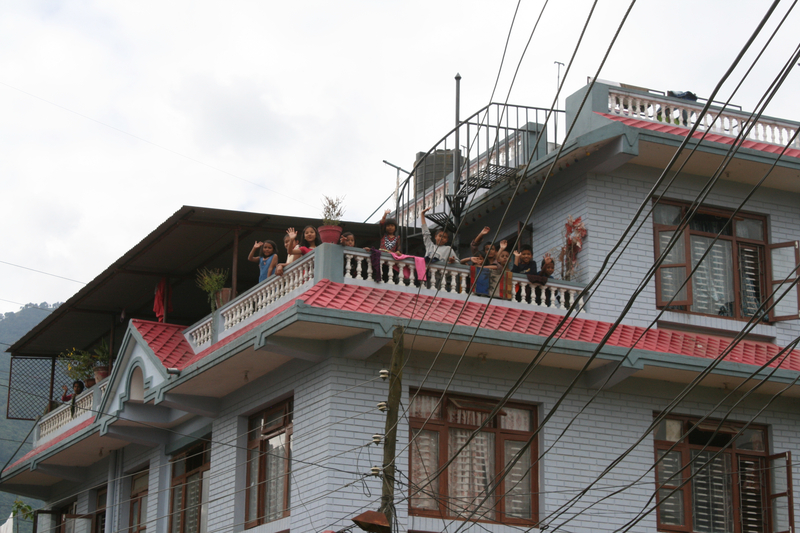 SoE founders visited Mitrata Orphanage in Kathmandu, Nepal in October 2010 and met with many of the 100 children there who now have hope for a better future because of the development efforts of 3 Summits For Nepal. We are pleased to participate in the Mt. Rainier Climb in July 2011 hosted by 3 Summits with a goal of raising $30,000. Hundreds of children in additional orphanages in Nepal will be helped through this fundraising climb. The CAF has created a six-day, 620 mile bicycle journey down the California coast called the Dodge Million Dollar Challenge (MDC). The purpose of the MDC is to raise $1M for adaptive equipment grants, clinics, mentoring, and support for challenged athletes. SOE is participating in the MDC adventure to raise funding for the CAF and to support our friends. Founded in 2003, No Barriers empowers people to push past their own real and perceived barriers and to achieve a mindset that helps them better understand their own potential. Many individuals live their life with physical challenges while others live with hidden or self-imposed challenges. No Barriers brings people together from all walks of life to create individual breakthrough. The signature program is a multi-day international summit that brings together adventurers and outdoor enthusiasts as well as scientists and innovators adventurers for an outdoor educational program. The No Barriers Summit combines hands-on clinics, product demonstrations, nature excursions, keynote addresses, leadership exercises and a scientific symposium with films, art and music. No Barrier programs have been held on two continents and have included participants from dozens of countries as well as almost every state in America. Summit of Everest Group founders are pleased to contribute their time and resources to help individuals overcome their personal challenges. In May 2011, SOE founders participated in a fundraising climb of Mount Elbert [Colorado’s highest peak] along with 40 other individuals.